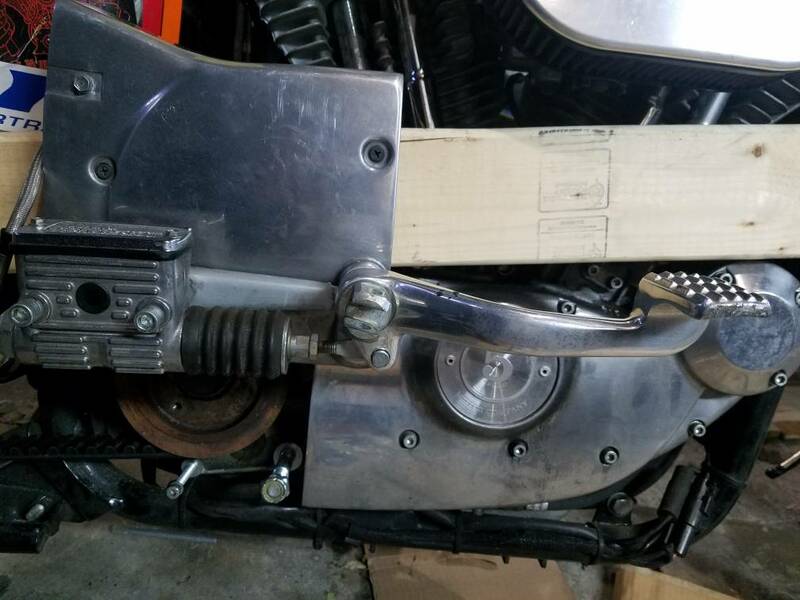 With the new belt mounted, i strapped a 2x4 to the bike with tie downs. Screwed the rear brake to the 2x4. Had my kids press the brake to hold the rear wheel still. 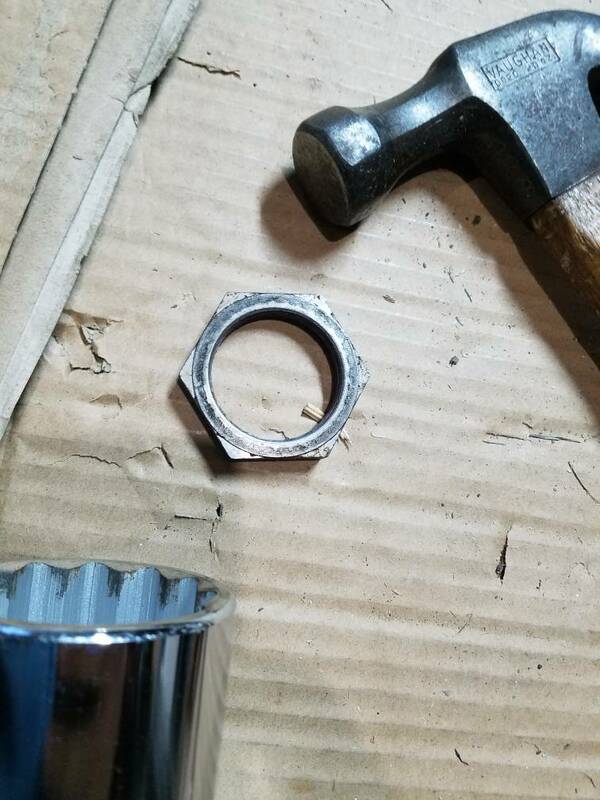 Remove nut with socket and bar. New switch on the way. Will test old one with meter. Re the scuff marks on the old belt, check your rear sprocket for squashed tarmac. Noticed i had quite a few in mine when i had the wheel out changing the tyre. 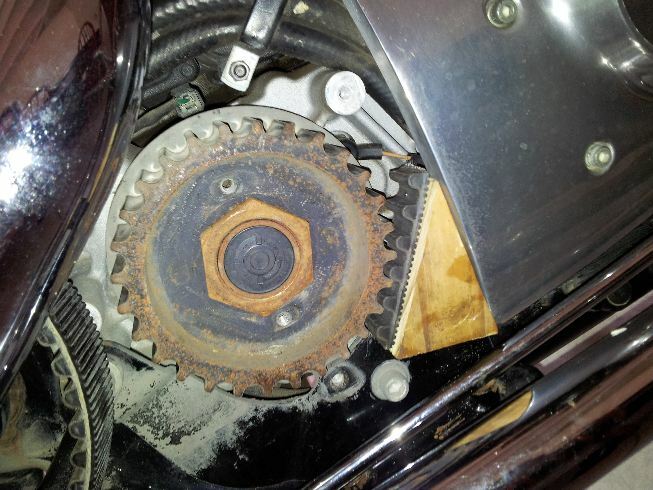 Made this stopper tool to hold the sprocket and promptly sheared off a bolt. I wanted to make a more circular one but my sprocket is a little different if you compare the two pictures. My buddy just bought a 1994 Suzuki DR125. When he brought it by for some work, I noticed someone had switched out the stock turn signals for Sportster versions! I learned a lot posting this. Thanks to everyone who replied! Hope it will help somebody out in the future.